Ansen Havarton, Steward of Breakwall Castle, leaned over the massive mahogany writing desk that filled the center of his stark office. Dozens of parchments lay scattered across the top, a regular fixture of his daily routine as he pored through notes, letters, inventories and budgets. Two soldiers stood opposite him, a centnar and a decnar, both wearing polished breastplates, flowing red capes hanging from their shoulders, and stylized helms nestled in the crooks of their arms. Ansen slammed his fist onto the desk. The soldiers averted their eyes. Ansen huffed at them, then moved from the table to stand next to the narrow window that overlooked the courtyard of the castle from three stories up. He’d claimed this room as his office twenty years ago, after taking over as steward from his father, also named Ansen. The view allowed him to see much of what happened in the castle from on high, but he also secretly enjoyed the fact that no one liked climbing three long flights of stairs to come see him. As usual these days, the courtyard was busy with merchants delivering goods, soldiers sharpening swords, villagers coming and going, and couriers hurrying through the gates. The castle was as it always had been – the hub of a bustling Artoran town lying in the shadows of Corendar. His work organizing this castle and the town it lorded over had been much of the reason why some of the earls seriously considered his lord as a successor for Tanchet’s debacle of a reign as King of Caldera, before Thaine Trannoch was plucked from the army. But now a disease had taken root in the town, and though he couldn’t see it, he felt the symptoms. Ansen gave him a warning glance, but nothing more. Lady Violet, despite being only a lord’s daughter, normally carried herself like the spoiled, whiny princess she imagined herself to be. That was probably inevitable when her father once aspired to sit on the Calderan throne. Sevris grunted in agreement. Ansen leaned against the window with a resigned sigh. Sevris bowed his head and left, along with his decnar. Ansen continued to stare out the window, watching the chapel specifically. A young woman in stained, muddied clothes stood at the open door on the far side of the courtyard, looking out as if waiting for someone. Another newcomer to Breakwall, with a story that didn’t line up and a purpose that was fuzzy at best. Most of these refugees offered eerily similar tales about why they’d come to this place – they all claimed that they needed a new home, and Breakwall was where they wanted that home to be. 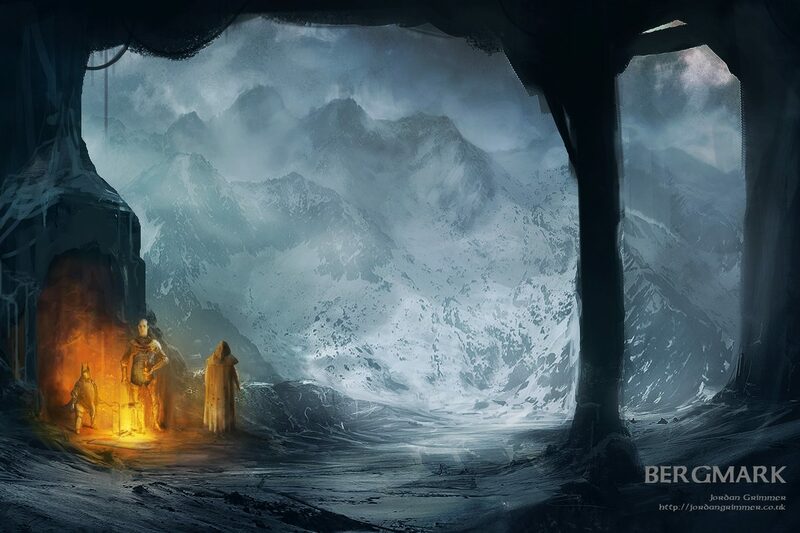 As flattering as some in the castle found that notion, Ansen had trouble understanding why they didn’t go to Corendar, only a day’s travel to the north. The Church there was far more capable of handling such a large number of poor and homeless migrants. And they’d find more help in the form of alms and charity from the cluster of nobles there. He rubbed his eyes and stifled a yawn. He wasn’t himself these days. Troubling nightmares had plagued him the last few nights, bringing with them gruesome visions of black-robed men dragging him from his bed and taking him to the darkest part of the woods where they cut him and smeared themselves with his blood. Once he woke from the nightmare, drenched in a cold sweat, he couldn’t go back to sleep. Nor did he want to after such vivid horrors. But his lack of sleep lately was keeping him irritable and exhausted. And far too excitable. Worst of all, the fatigue kept him from making sense of this new dilemma. He’d simply have to focus on his work. When life refused to make sense, Ansen had learned long ago to keep his hands busy until it did. He returned to his desk, picking up a small stack of documents that his lord would need to review. He left his office and walked down the spiral stairs to the second floor of the castle. He found the door to the castle’s drawing room, where Lord Morgantin held private meetings with visitors or officials. He knocked gently and opened the door to find a large room decorated in the finest of Calderan luxuries. Red and gold-trimmed curtains framed two wide windows that overlooked the northern reaches of the Breakwall domain. Numerous elegant tapestries hung from the dark stone walls, and a thick, plush red rug covered the middle of the floor. Small wooden tables were arrayed around the edges of the room, each one displaying silver or gold artifacts, or fancy collections of mugs and dinnerware. Lord Selvan Morgantin sat in a high-backed chair in the rear-center of the room. He was thin and impossibly tall, an imposing man who literally looked down his nose at everyone. But he was also a good man, for a Calderan lord. Seated on a plush bench to his left was his only child, Lady Violet Morgantin, who engaged him in conversation with a furious scowl on her face. Upon Ansen’s entry, however, they both stopped and looked at him. Lord Selvan nodded. The steward hesitated briefly to see if Lady Violet would leave the room, but she remained seated, turning only slightly to face him. She was twenty-two years old, having been only a babe when Ansen took office, and still unmarried. She’d had suitors, but she’d tired of them all for various reasons, usually a lack of money, or a lack of manners. A few simply stopped calling on her, providing decent enough excuses, although everyone in the county knew the real reason they lost interest. Ansen blinked. The Lady of Breakwall had only recently become involved in the day-to-day affairs of managing the Morgantin domain and he still wasn’t used to it. Ansen tried very hard to remain calm. “Of course, father.” She gave a slight bow of her head and left the room. Ansen watched her for any sign of annoyance, but she left with as much grace as she could possibly muster. She really had changed. A few weeks ago, she would have thrown a tantrum before storming out red-faced. Violet closed the door behind her, and Ansen turned to the lord, who shook his head with a weary smile. Ansen smiled. His lord knew him well. “I live to serve, my lord.” He set his papers on the table near the lord’s chair, before taking a seat of his own. Selvan reached out for the documents, flipping through them with little interest. A knock on the door pulled Ansen from his work. He looked up to see a red-faced young man standing in the doorway of his office, fidgeting with a piece of paper in his hands. “Yes, Lord Steward.” He bowed, awkwardly. The man looked at the note in his hand. Ansen nodded, glancing down at the pile of papers still cluttering his desk. Oh well, if the Lord of Breakwall wanted to summon him for a leisurely walk in the gardens, he couldn’t very well say no. He could probably stand to take a break, anyway. “Tell the lord I will be there momentarily,” he said to the man, who bowed again and then disappeared down the hallway. Ansen stood, stretching out the stiffness in his back and neck. He grabbed his coat from a rack in the corner. He’d become a bit more susceptible to the cold in his later years, and it wouldn’t do to be shivering all evening. He threw the coat over his shoulders, closed the door to his office, and went downstairs. The castle was nearly empty, as it usually was this time of day. A lone servant carrying an empty platter scurried past as Ansen strode down the wide hall leading to the gardens. Ansen opened the thick wooden door at the end of the hall and stepped out into the cool night air. A cobblestone path meandered through a thick copse of hedges, ending at a clearing with a round gazebo in the center, typically the starting point for his walks with Lord Morgantin. The gazebo was empty, though, and he looked around, seeing no sign of anyone. He heard some conversation in a nearby work shed, and decided to ask the gardeners if they knew where Lord Morgantin had gone to. He approached the door, turning as two dark-robed figures appeared at the edge of his vision. He began to ask the question of them, but as he discerned their appearance, he froze, seeing only the attackers from his nightmares. His rational mind took hold, reminding him that he was awake, and in his own lord’s garden. He relaxed, ready to dismiss his fright as mere paranoia, nerves from his lack of sleep. But as soon as he opened his mouth to question them about their suspicious clothing, they lunged at him, knives flashing in the moonlight. He cried out as they jabbed deep into his flesh, over and over, until he fell to the ground, writhing in the throes of death. The dark-robed attackers backed away, and a new figure emerged, standing next to Ansen’s head. A woman, with black hair and a bright red dress that somehow shined in the darkness. Lady Violet leaned over and ran a finger next to one of his wounds, her face devoid of emotion. She pushed on it, and for a moment he thought she might be trying to stem the flow of blood. Instead, she held up a hand stained dark red, the blood dripping from the glittering rings that lined each of her fingers. She rubbed the blood across her face, tasting it on her lips. A wicked smile greeted him as she exulted in the act. She crouched down next to him, turning his head to face her. He tried to fight, to shout at her. But he only managed to get out one single word. A curt laugh escaped her lips. She looked around at the garden, surveying her realm.